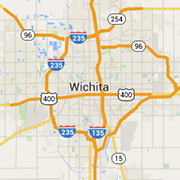 Wichita Attorneys - Find Lawyers and legal help in the Wichita area. Providing immigration, social security, disability, divorce, and family legal counsel to clients in Wichita and the State of Kansas. For more than 130 years, we’ve been committed to providing the highest quality legal services for our clients. We are a full service law firm able to offer the benefit of our experience in a broad range of legal services. As a former county attorney prosecutor working as a defense lawyer, I can assist you with a variety of criminal charges and bankruptcy cases. Dedicated to providing their clients with quality representation in a broad range of family and criminal law related matters.